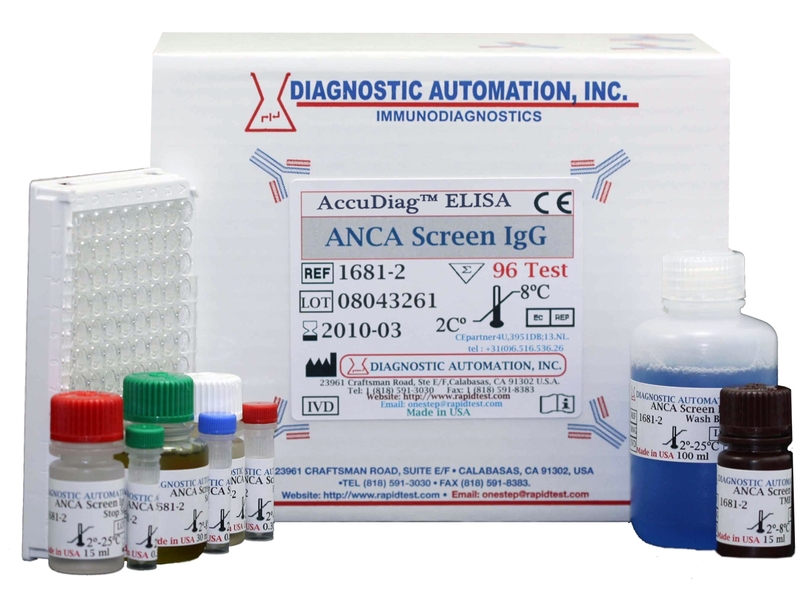 EA IgG ELISA kit - EA IgG ELISA Assay kit | CE-GMP | 818-591 3030-USA. 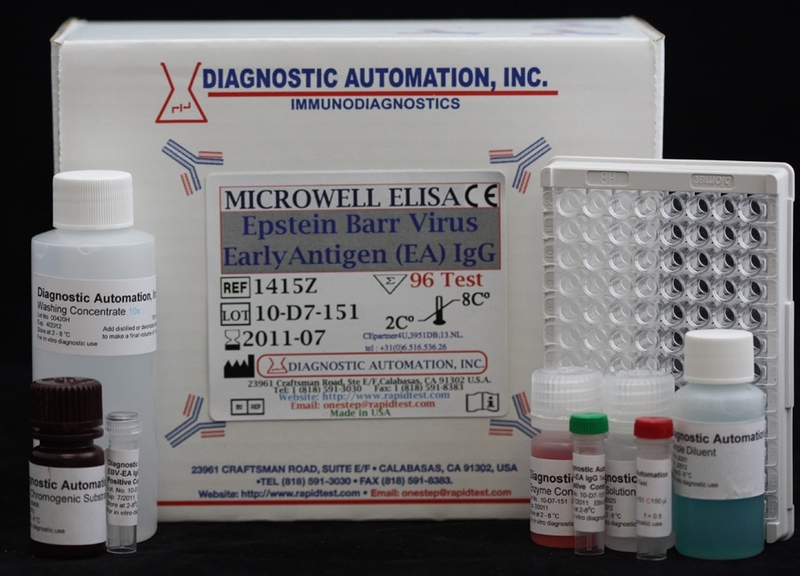 Diagnostic Automation Epstein Barr Virus Early Antigen (EBV-EA) IgG Enzyme-linked Immunosorbent Assay (ELISA), is intended for the detection of IgG antibody to Epstein Barr Virus Nuclear Antigen-1 in human sera and plasma. 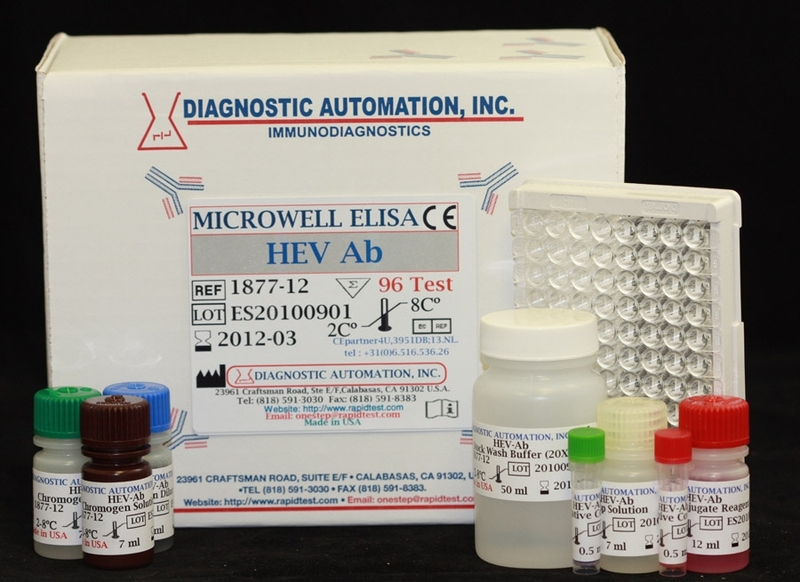 Purified EBV-EA antigen is coated on the surface of microwells. 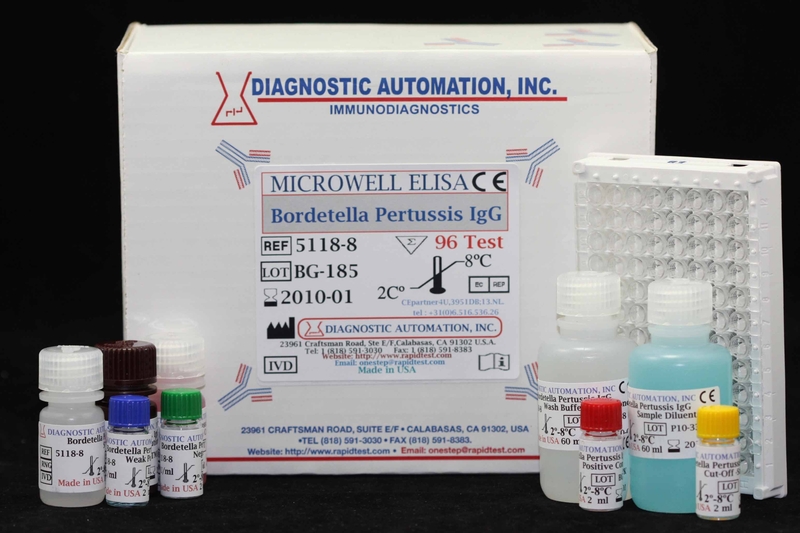 Diluted patient serum is added to wells, the anti- EBV-EA specific antibody, if present, will bind to the antigen. All unbound materials are washed away. After adding enzyme conjugate, it binds to the antibody-antigen complex. Excess enzyme conjugate is washed off, and TMB Chromogenic substrate is added. The enzyme conjugate catalytic reaction is stopped at a specific time. 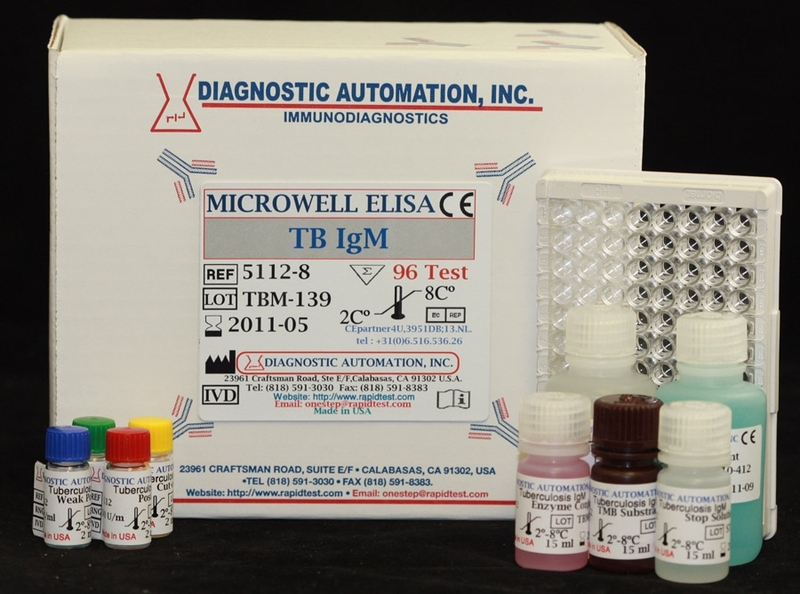 The intensity of the color generated is proportional to the amount of specific antibody in the sample.